Because of Judo, by Richard Goulding 308 x 286 mm, bound hardback with dust cover, 228 pages, 194 plates FIRST EDITION, published by Ichiban Press 2015. 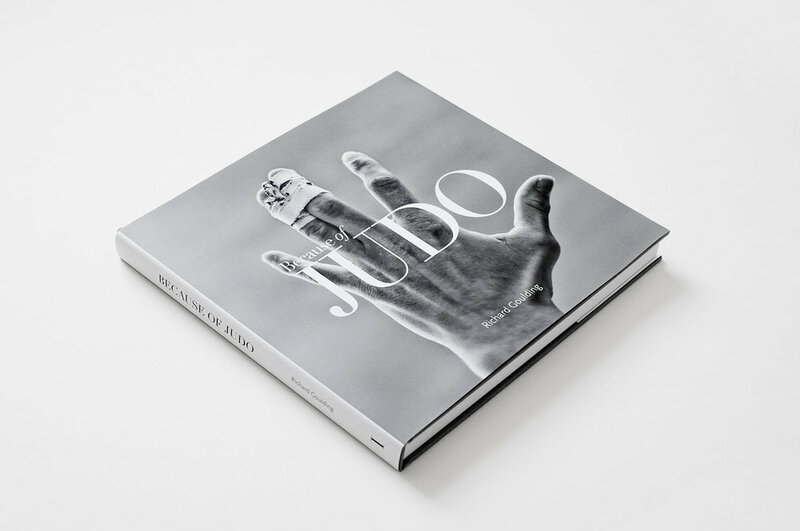 Because of Judo is an art monograph limited edition book, and a study of a life in Judo. 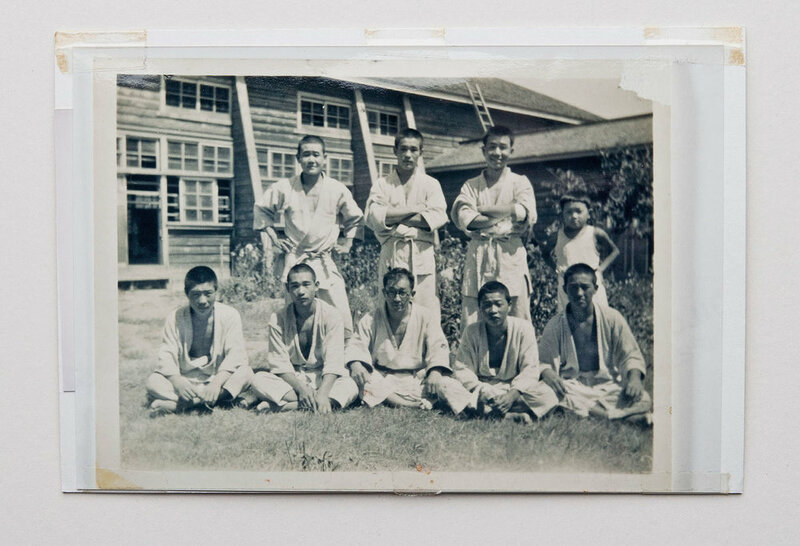 It is the culmination of a five year photographic project and is a tribute to the late Akinori Hosaka 8th Dan Kodokan Judo. Akinori Hosaka, photographed Manchester 1989. In 1977 I started Judo at Sale Leisure Centre, south Manchester. The instructor was a Japanese man called Akinori Hosaka, I remember lining up with the other beginners to have our finger and toe nails checked, if too long you got a whack with his zori, or you often got a whack and a smile from him even if your nails were short and clean . I was just a recreational player, with no contest record, but over many years we became good friends until sadly Mr Hosaka passed away in 2010. I was his next of kin, he had no family in England, so with close friends we cared for him towards the end. Before he died Hosaka said to me, “I am not a wealthy man, but because of Judo in my heart I am a millionaire”. This quote and then conversations with his old friends and colleagues inspired me to start photographing the British Judo squad as they prepared for the London 2012 Olympics. The book then evolved to become much more than that. It has become a collection of visual stories about the athletes, their determination to succeed in elite judo, and about the dojo’s in which they train, fight and live. It is also about their coaches, the teachers of judo. It tells a story of life in Judo in this country, but is also a shared story about Judo all over the world. Working on the book, I wanted to learn more about the players before they step on to the contest mat, what is their daily life like, and about the coaches who guide them through victory and defeat. What I discovered was a way of life. And also beauty in a sport that has origins in a brutal battlefield fighting system. The project is underpinned by portraits of the players taken after they have stepped off the mat between randori sessions. And of old school coaches such as Don Werner and Roy Inman. I started the project with respect for the players and coaches, but that quickly changed to admiration and amazement at their dedication, motivating me further to try to show non-judoka what life in Judo is like. I found a unique sub culture of a sport and martial art, British Champions sweeping the mat after training, a family system, rivals for a place in the Olympic team helping those selected, young players and old school judoka, injury after injury and never a complaint, unspoken codes of behaviour, and of course Judo hands. 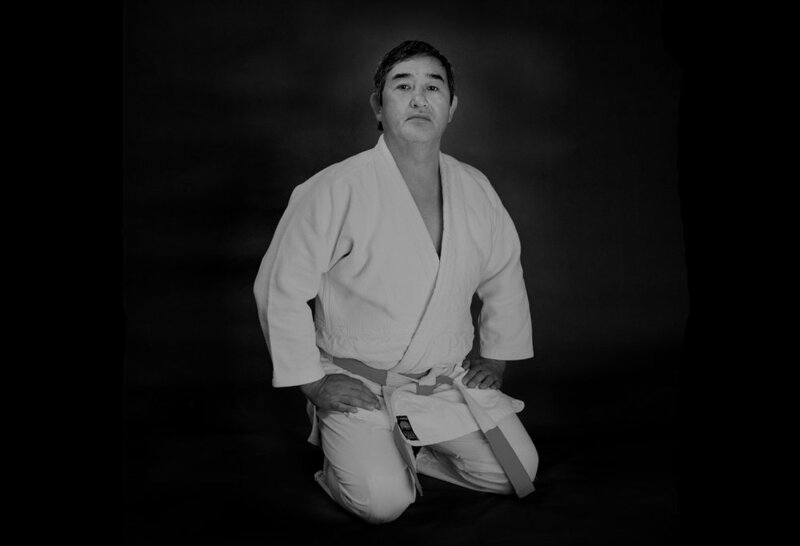 I spent five years creating this self funded photographic record of a life in Judo. The printing and publishing has been partly funded by a crowdfunding campaign which saw support from backers all over the world who could see the value in their shared experience in the art of Judo. This limited edition book is only available for sale on this website.